I DO however, enjoy a great Disney lounge! There are many reasons to stop in and check out a Disney bar – in some cases – even when you have the kids with you! Check out my latest post over at Chip & Co. to learn more! 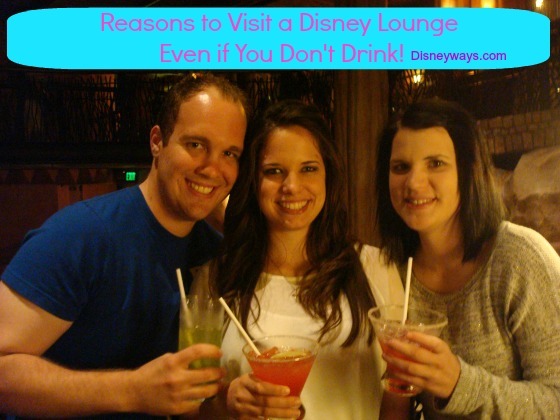 Click HERE to learn why you should still stop by a Disney Lounge – Even if you Don’t Drink! Caption This Disney Pic – and Win! All you have to do to play is leave me a comment with your caption, and follow @DisneyPKPodcast on twitter. Rules: Your caption needs to go in the box below – that says “What are your thoughts?” – and you must also leave us your twitter handle so we can confirm you are following @DisneyPKPodcast on twitter. My son Brad will pick his favorite comment and the winner will get a surprise Disney gift! I will accept comments until Friday August 30th 2013 at midnight – eastern time. I will email the winner on August 31st 2013 and they will have 24 hours to respond before he picks another winner. Disney Inspired Accessories that Do Double Duty – with a Discount! Here at Disneyways our mission includes introducing you to only the finest Disney related products and services. Just as a reminder, I do not receive any commission from the sales of these items, so you know my recommendations come truly from the heart. Today we have some exciting things to show you! These fun items are great for your days at the Disney parks – but – as I was looking at my friend Amanda’s MCDesigns store – I noticed many of these items could really brighten up your day at work as well. Disney inspired accessories that do double duty. Now how can you wrong with that? Anyone could write a thank you note or sign a co-workers birthday card and smile – if they are using this bright and colorful pen. It also doubles as a great autograph pen for your next trip to the parks, or even marking down your dining reservation numbers! Ladies! This next one is for you. Getting ready for casual Friday at work might be just a little more fun if you accessorize your hair with one of these! They come in different colors AND for those fun evenings you are in the Disney parks after dark…these little Mickeys actually glow!! I can not WAIT to order one of these for myself – how about you? Hey and if you are tired of the same old lunch routine at work – why not pack your lunch in this festive bag? It’s sure to make your work day just a little more magical. This bag does double duty as a tote for sunscreen or other essentials on your next Disney cruise! Amanda can customize these for you in an endless amount of designs – so be sure and let her know if you are looking for something special for yourself or as a gift! 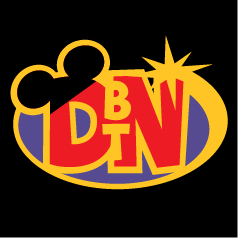 Right now as a bonus – MC Designs is having a special for Disneyways readers! All you do is type in the coupon code DISNEYWAYS at checkout and you will get 10% off your entire purchase!! Check out the store and please let me know what some of your favorite items are – I’d love to hear from you! Everything featured on Disneyways is very special and impossible to find in stores. That is just another reason why I am committed to bringing them to you. Your Disney inspired items will stand out from the crowd because they are completely unique and original! When your friends and family ask where you got them – I hope you will remember that you heard about them on Disneyways.com. Disney Parks Podcast Episode 44! Lots and Lots of Disney News! This episode was recorded on the heels of all the major announcements for the this summer! Disney Parks are bursting with a Monstrous lineup of unforgettable thrills and entertainment, so you’ll want to listen in and get to get up to date. Just click on the photo below to be taken to a direct link to connect from your PC. Thanks Jody for subscribing – we appreciate you! Yahoo!! It is time once again for the monthly Disneyways subscriber drawing! All you have to do to be entered is subscribe to get your Disneyways updates by email. Everyone who has ever subscribed is automatically entered every single month for our various prizes. Winner will be chosen at random and notified by email on May 8, 2013 – and will have 3 days to respond with their mailing address. 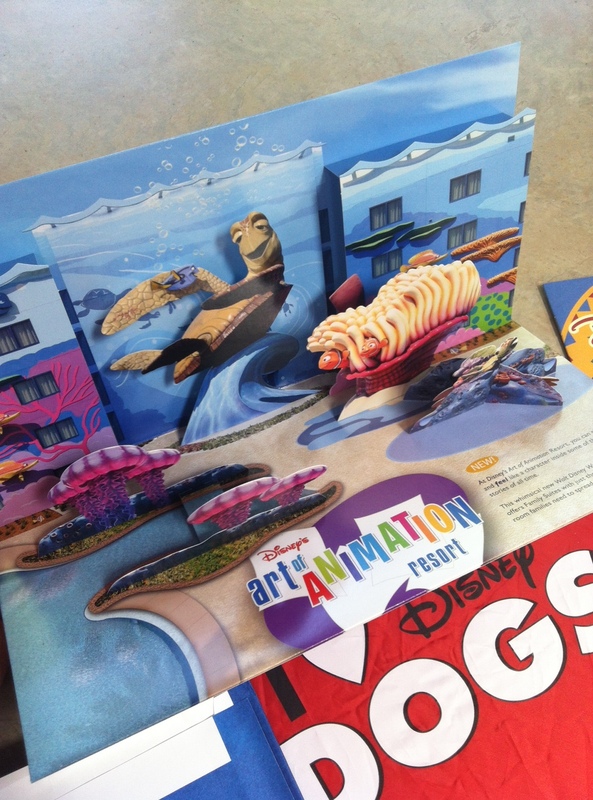 A Beautifully Disney pamphlet…and a few other surprises not pictured here! Good luck and thanks for subscribing to Disneyways!! In fact, I have had so much fun that I wanted to share – and extend an invitation to others to guest blog here at Disneyways! Anyone can apply but special consideration will be given to my current readers and subscribers. This is because many of you all have been with me since the beginning, so you are familiar with our mission statement and the positive, upbeat feel of our site. Here is a link for more info on guest blogging for Disneyways!